You've seen the YouTube tutorials (google "Blackhead Removal SHOCKING Video" — or don’t), the DIY facial-scrub recipes, and yes, even the little black dots all over your nose in your 10x magnifying mirror. Blackheads are exceedingly common. But, why are they so irksome? "I think it's partly because they feel rough to the surface," says Doris J. Day, MD, a New York City-based dermatologist and author of 100 Questions & Answers About Acne. "There's the idea that blackheads are stuck in your skin — and if you remove them, there's a sense of gratification and relief that they're gone. Blackheads just seem so manageable in that way: You just get them out, and then you're done." That perception couldn't be further from the truth. Getting rid of blackheads — for good — is a process that requires the right products (hello, salicylic acid), a regular skin-care regimen, and sometimes even the help of pros. Ahead, we spoke to Dr. Day about her most effective tricks. The first step in treating blackheads is truly understanding them. Basically, a blackhead is a pore that's clogged with a mixture of dead skin cells, oil, and Propionibacterium acnes (P. acnes) — a bacteria that thrives on the protein and oil in your pores and causes breakouts. Unlike a whitehead (a closed comedo), a blackhead is open at the skin's surface (an open comedo). Exposure to air causes this plug of gunk to oxidize and turn black, making it really tempting to mess with. When you finally get one out, the feeling is insanely gratifying. (Case in point: Dr. Pimple Popper.) You just need to know how to do it properly. When it comes to blackhead removal, salicylic acid is your best friend. Commonly found in over-the-counter acne treatments, the ingredient gently helps skin-cell turnover, helping unclog your pores. The best way to use it is by layering it on once or twice a day, in concentrations between .5 and 2%. Start with a face wash or face wipes, then, apply a spot treatment, like Clean & Clear Advantage Acne Spot Treatment or a medicated tinted moisturizer, like Aveeno Clear Complexion BB Cream. The longer this stuff sits on your face, the more time it has to work. Just be careful not to overdo it — vary your concentrations (not every product in your regimen should contain 2% salicylic, the highest OTC percentage), and be mindful of your skin's sensitivity. If your skin becomes overly dry, tight, or irritated, cut back on the concentration, the number of products in your regimen, or the frequency of application. "People can be too aggressive with salicylic acid and irritate their skin," says Dr. Day. "Understand that it takes time for everything to work, so give it a few days to a week in order to really have the full benefit." Neutrogena Oil-Free Acne Wash Pink Grapefruit Facial Cleanser, $6.82, available at Target. If you're thinking of using benzoyl peroxide here, well, just don't. While benzoyl can nuke zits quickly, salicylic is a better blackhead remedy because it helps exfoliate and unclog your pores. Benzoyl is mainly a bactericide that’s used to kill the P. acnes bacteria. This is less of a concern with blackheads, since they’re open at the surface — and contact with air kills the anaerobic bacteria. Other stuff that doesn't help banish blackheads? "People will put things like hydrogen peroxide or rubbing alcohol on their skin," says Dr. Day. "Those have zero effect on the bacteria that causes acne, and won't help blackheads or whiteheads, but they will dry out your skin. Hydrogen peroxide, if you use it too much, is actually toxic to collagen in skin cells, so it will harm your skin." Stick to a sal acid spot treatment like this one. Clean & Clear Advantage Acne Spot Treatment, $6.36, available at Clean & Clear. Exfoliating regularly is key to keeping blackheads in check, since it scrubs away dead skin cells that could clog pores. "It's fine to alternate between manual and chemical exfoliants,” says Dr. Day. “The main thing is, don't over-scrub — you don't want to strip your skin. See what your skin likes and what you like. There are so many good choices." We like applying Garnier Clean + Blackhead Eliminating Scrub once or twice a week — any more than that is overkill — for an extra boost of exfoliation. Garnier Clean + Blackhead Eliminating Scrub, $7.99, available at Garnier. Juice Beauty Green Apple Blemish Clearing Peel does the job and also helps eliminate acne scars. Juice Beauty Green Apple Blemish Clearing Peel, $39, available at Juice Beauty. But, not all brushes are created equal. (Dr. Day swears by the Clarisonic and its Deep Pore Cleansing Brush Heads, and the Olay ProX Microdermabrasion kit.) The more times a second the brush head moves, the less abrasive it will be (which is what you want). P.S. Make sure to keep your brush heads clean, and replace them often. Clarisonic Mia 2, $169, available at Clarisonic; Clarisonic Deep Pore Cleansing Brush Head, $27, available at Ulta Beauty. While one night of passing out with your makeup on won't result in a blackhead invasion, over time, this bad habit will absolutely contribute to gunked-up pores. If you can, wash your face as soon as you walk in the door. If you just can't deal with sudsing up after a long day, cleansing cloths will do, says Dr. Day. Keep a stash of them next to your bed. And, for heaven's sake, stop feeling up your face. Being all touchy-feely can transfer bacteria to your pores and — you guessed it — trigger blackheads and breakouts. Yes To Coconut Cleansing Wipes, $5.79, available at Walgreens. Avoid occlusive products, like petrolatum and silicones, which contain heavy-duty ingredients that create a moisture barrier. By sealing in moisture, they also trap dead skin cells, oil, and bacteria — which will only cause more blackheads. CeraVe Facial Moisturizing Lotion PM, $13.99, available at Ulta Beauty. Over-the-counter retinol products and stronger, prescription retinoids (like Retin-A) are usually associated with anti-aging benefits, but they should also be recognized for their blackhead-busting properties, says Dr. Day. "These products will keep your skin cells turning over efficiently, without over-stripping," she says. "Having good, healthy skin will help you minimize blackheads. It's an ongoing thing." Start off using a gentle OTC formula, like RoC Retinol Correxion Sensitive Night Cream, a few times a week to avoid irritation and dryness, then switch to every night when your skin is fully adjusted. Stick with the treatment for at least three months to really see results in the form of clearer tone and smoother texture. Roc Retinol Correxion Sensitive Night Cream, $22.99, available at Ulta Beauty. You once needed an actual prescription to get your hands on this prescription-strength retinoid, but it’s now available over-the-counter — for less than the cost of your insurance copay. 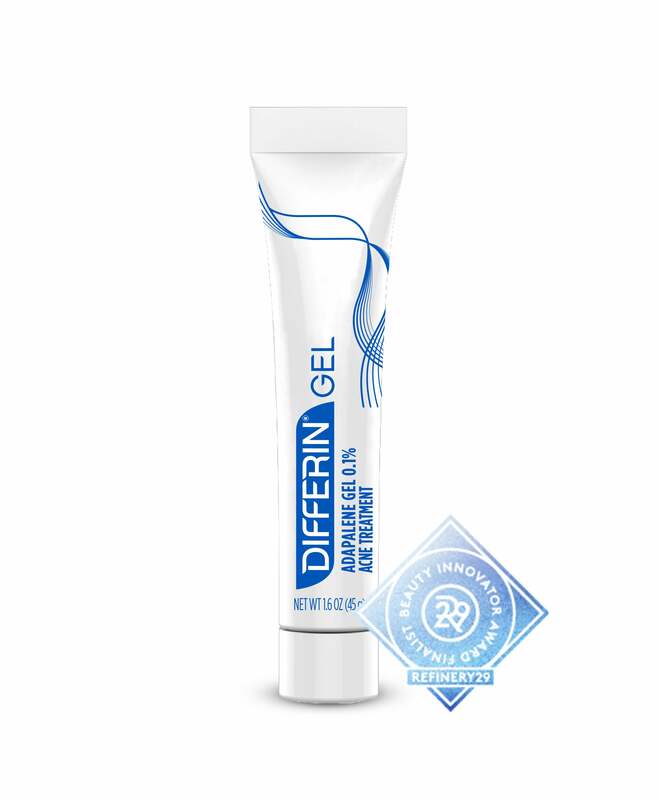 Differin Gel, $11.29, available at Target. Undoubtedly, there’s something weirdly gratifying about yanking all the crap out of your nose with a Bioré strip. Limit usage of these curiosities to once a week, says Dr. Day, who totally gets the odd appeal. "I prefer other methods over pore strips, but it is kind of fun the first time you do it, and you see stuff coming out." Skip the strips if you have a sunburn, breakout, or excessively sensitive skin. While they won't prevent blackheads, these sticky suckers can pull out some of the sebum. Bioré Deep Cleansing Pore Strips, $7.99, available at Target. The tea tree extract and kaolin clay in these strips pull out sebum, making pores appear smaller — talk about a win-win! Formula 10.0.6 Down To The Pores, $5.99, available at Ulta Beauty. Skin-care companies have spent billions researching and developing blackhead remedies, so there's no reason to resort to a recipe you've found on a random blog. Dr. Day agrees: "Honestly, when it comes to blackheads, there are so many really great, inexpensive products in the drugstore that DIY just doesn't make sense. These products have been tested on skin, and will get you so much further for the same price, or less, than the DIY ingredients." Dr. Brandt PoreDermabrasion Pore Perfecting Exfoliator, $58, available at Sephora. There's something about blackheads that screams, "Squeeze me." Before you do this at home — or pay a facialist good money to do it — and potentially cause inflammation or scarring, consult a dermatologist. Your derm can prescribe retinoids or chemical peels that may boost your results, recommend the best facialists in your city, or, if need be, kick your treatment regimen up a notch with Isolaz, a multi-session, in-office treatment that combines gentle pore suctioning with light therapy. Typically, Isolaz patients need a series of about five sessions, but can see significant results as soon as their first treatment.